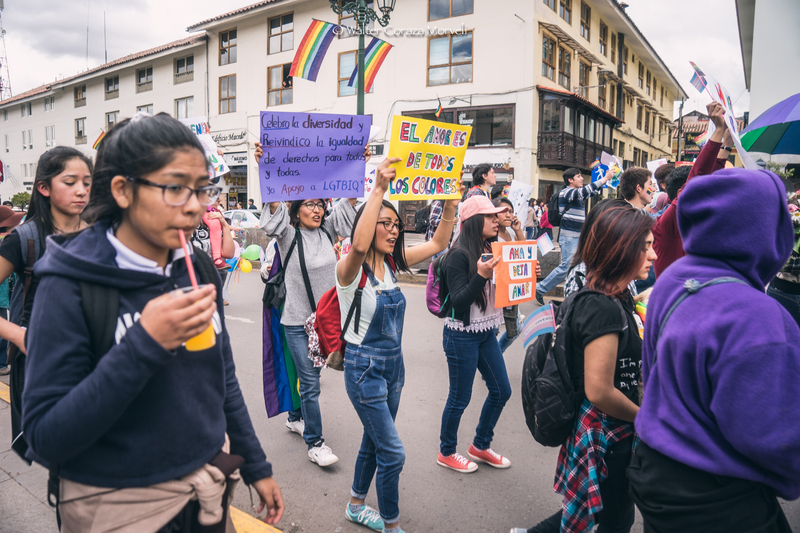 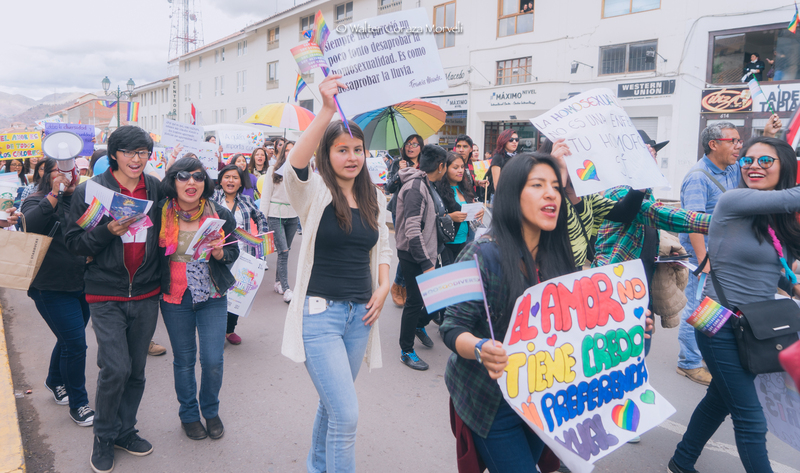 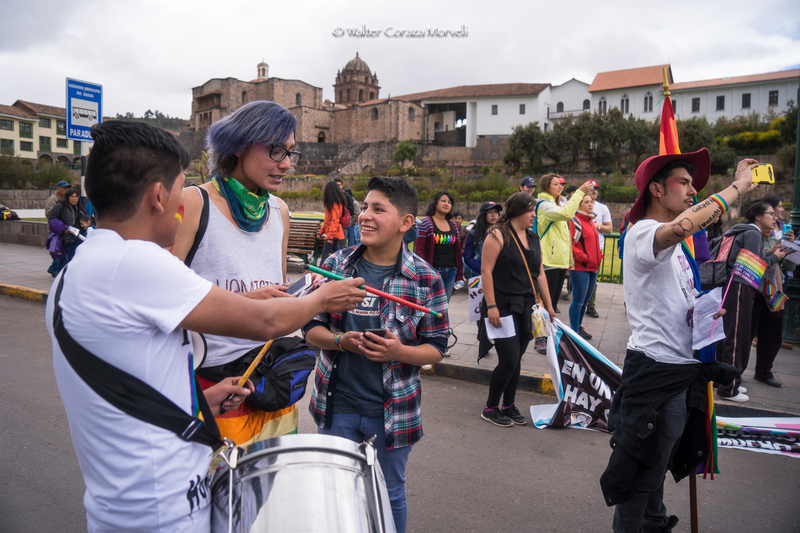 An emotive march took place on the streets of Cusco last Saturday, despite stormy weather of Cusco. 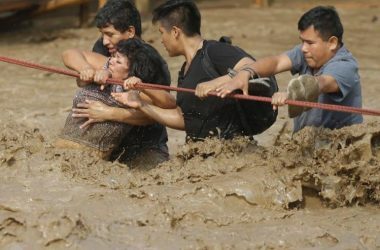 Rain was not an obstacle for young and old to express their struggle for equality and respect for the rights of all. 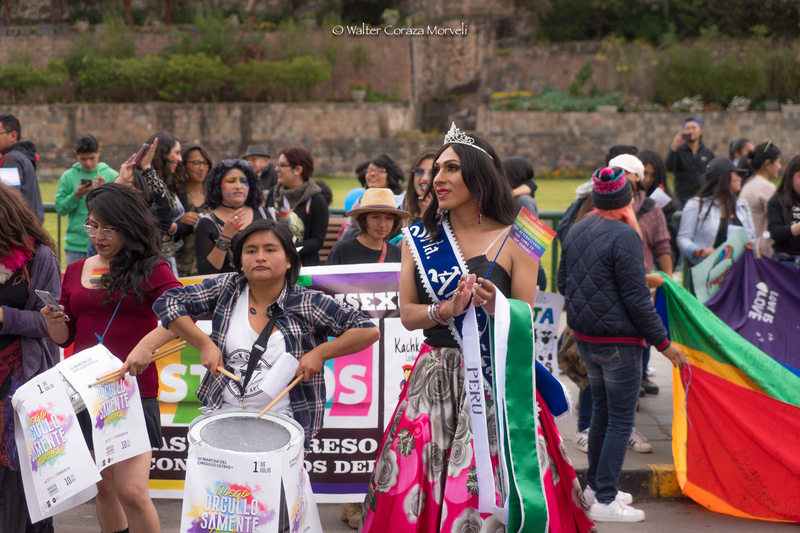 With great hubbub, bands of people with balloons, banners, and multicolored feathers, made a beautiful parade forthe sixteenth march called LGBTIQ Pride. 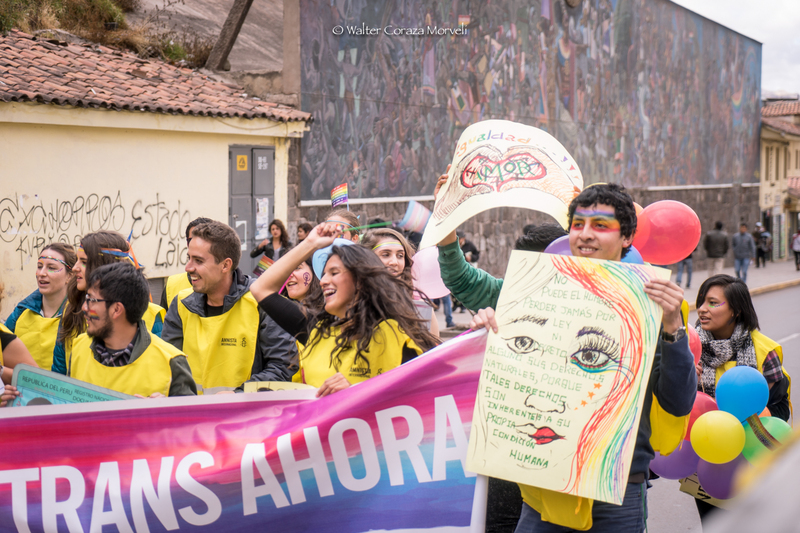 The march began in the park of Mariscal Gamarra at 11:00 am in the morning from where the march began. 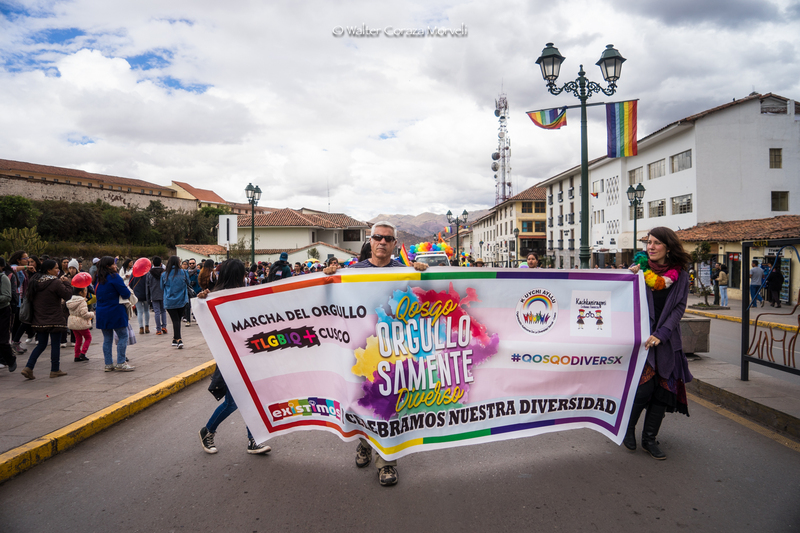 The mobilization, passed through different streets including the avenue of the Sun and then reached the main square of the city of Cusco. 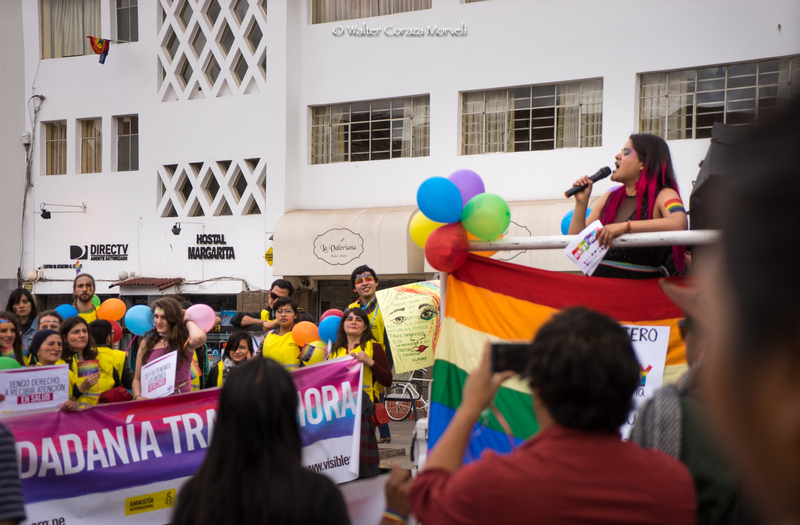 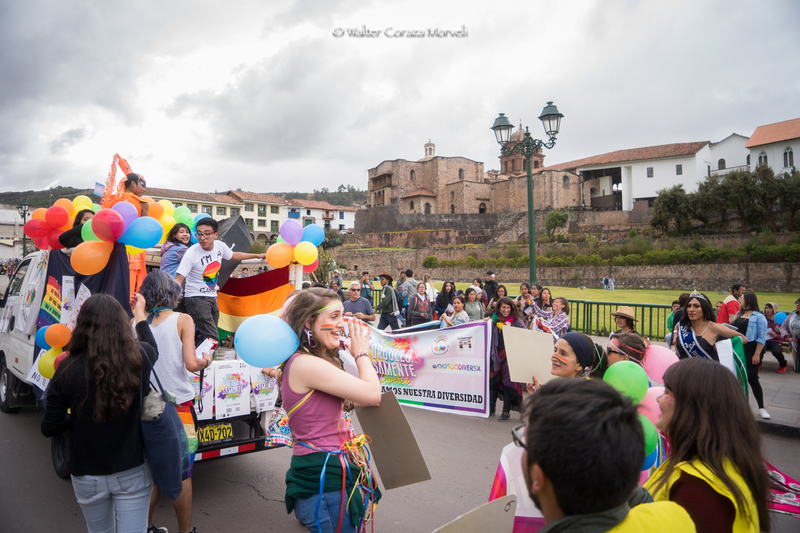 Thus celebrated the day of gay pride in Cusco, here the images.